It turns out that a place called Cellar360 in San Francisco imports VB in limited quantities to the delight of Australian Ex-pats and Austral-o-philes. No, they don't ship. No, they don't always have it in stock. 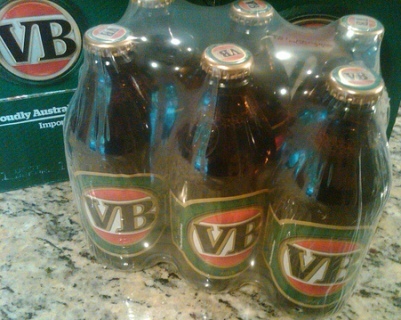 Yes, it is a bit spendy for beer (around $41 USD for a "slab" or a case of 24 "stubbies"). While they promote something called the VB Club, in which you reserve your beer in advance, you can always call to see if they have some in stock. 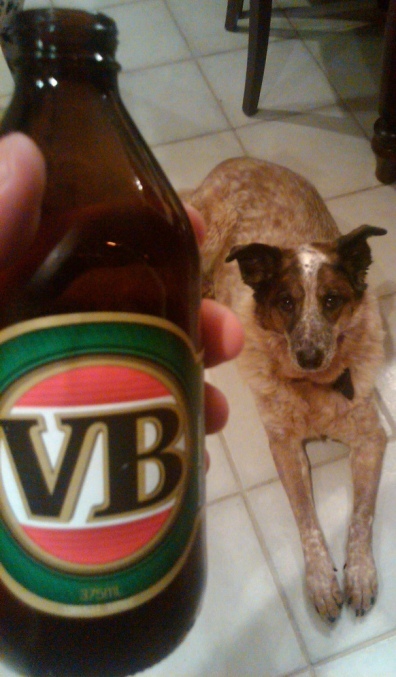 One of the more amusing things about VB is that it isn't a bitter, but a lager.